If you are searching for a .NET PDF charting library/control/component for your ASP.NET AJAX, .NET WinForms, or WPF applications programming, you can use CnetSDK .NET PDF Chart Maker SDK. 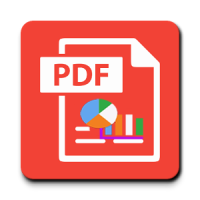 If you are in need of making and creating the pie chart, column chart, bar chart, line chart, stacked charts, combined charts and more on PDF document, you can use CnetSDK .NET PDF Chart Maker SDK. It fulfills worldwide customers requirements for .NET PDF charting applications. Worth-trying! CnetSDK .NET PDF Chart Maker SDK provide mature and stable PDF chart graph creating and drawing features for your .NET web and windows applications. This .NET charting library/component/control is fully written in managed code using C# and be released through continuous testing and improvements. It allows .NET programmers to create and add various MS chart graphs on PDF document, such as making and creating a pie chart, column chart, bar chart, line chart, stacked charts, exploded charts, combined charts, etc. The integration of .NET PDF chart library/control/component is very simple. Just find .NET PDF charting library dll, CnetSDK.PDFChart.Maker.Trial.dll, in the downloaded package, and add this PDF charting library control to your .NET project reference. Then, you can use all its mature chart graph making and creating features in your .NET applications development. If you are using the free trial version of CnetSDK .NET PDF chart library component, a watermark (CnetSDK) will show on generated chart graphs randomly. To remove the watermark, please order a license of CnetSDK .NET PDF Chart Maker SDK. We provide a demo project for CnetSDK .NET PDF Chart Maker SDK. You can find it in the Demo folder of the downloaded package. This .NET demo project lets you quickly know how to draw, make and generate various charts on PDF document. Besides, you can set and customize the properties of PDF chart graphs. You may now download the free trial package of CnetSDK PDF chart graph maker component from the download button above and have a quick evaluation for your .NET application development. To be more specific, you can draw and generate the following major types of chart graphs on PDF file.